Guys, I have read a lot of really good historical fiction this summer. 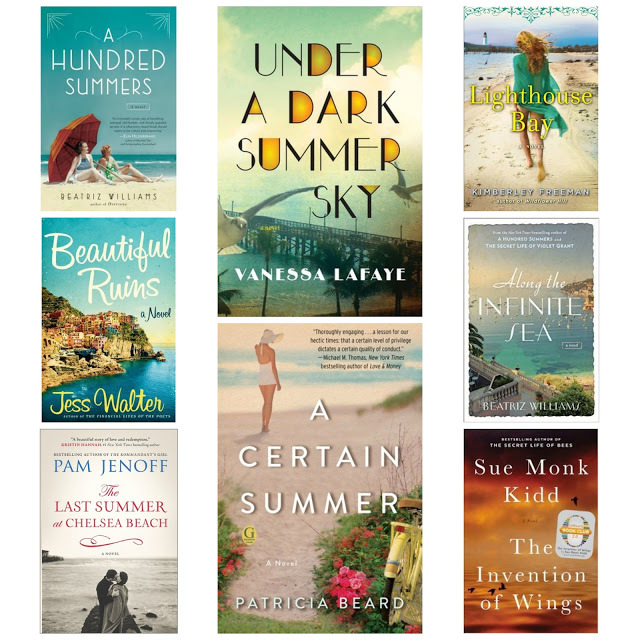 There's something special about getting lost in another time period while reading at the beach or lounging on vacation. There's truly nothing like it! Here are the adult historical reads that I got sucked into this summer. The Last Tudor by Philippa Gregory - If you want to get lost in the crazy and dangerous world of Queen Elizabeth I this is the story for you. It's about the Grey sisters' unfortunate stories as women in line to the throne. It features the infamous story of The Nine Days Queen as well as Lady Jane's sisters. Into the Wilderness by Sara Donati - If you enjoy The Last of the Mohicans, you'll like this adventure/romance set in the dangerous world of the late 1700s in upstate New York. Summer at Hideaway Key by Barbara Davis - I picked up this backlist gem at my library, because I knew that a Florida coast setting, an old bungalow, family secrets and an old journal make for an entertaining historical beach read. How could I not fall in love with that cover? 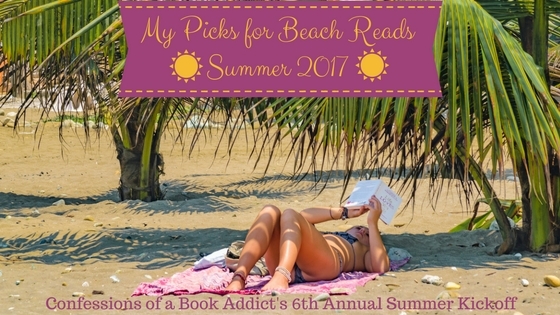 Cocoa Beach by Beatriz Williams - This one ended up being way more suspenseful than I expected! It kept me on the edge of my seat and the lush and evocative setting of Prohibition Age Florida was fantastic. Kiss Carlo by Adriana Trigiani - I felt like I time traveled back to South Philadelphia during the late 1940s. It's a great family story that had me laughing out loud as only Trigiani can. 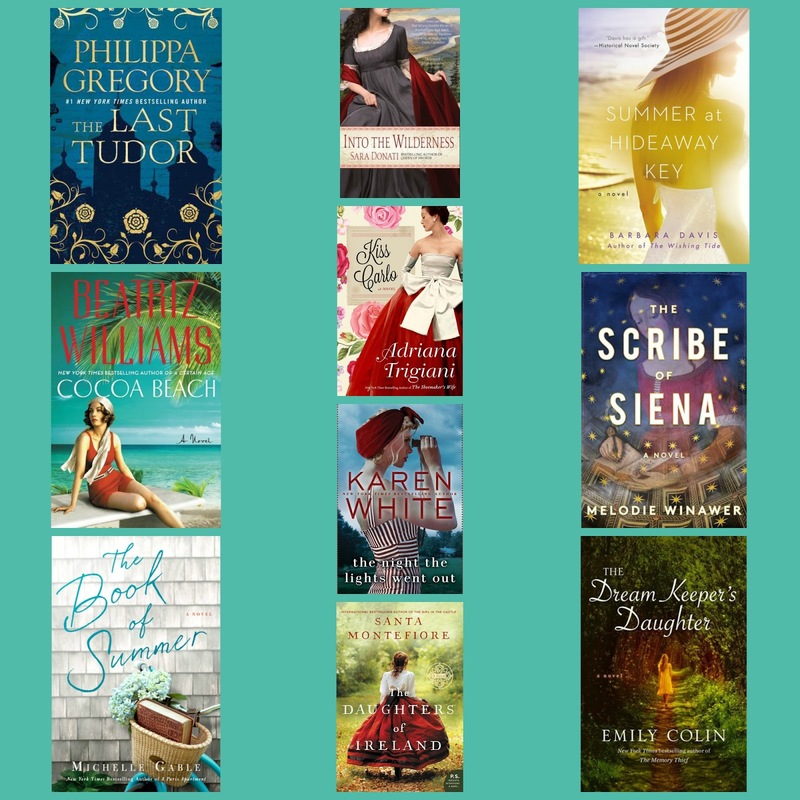 The Scribe of Siena by Melodie Winawer - This historical beach read involves time travel back to Siena, Italy around the time of the Plague. It definitely has an Outlander vibe to it. The Book of Summer by Michelle Gable - I adored this "historical beach" read. It's all about family and the people that inhabited Cliff House, a gorgeous beach house, through the years. The historical portion of the story takes us back to the time around WWII and I found all the family member's intertwined stories to be very compelling. The Night the Lights Went Out By Karen White - This is also told with historical flashbacks and the murder mystery had me on the edge of my seat. I loved the setting of both Georgia in the 1930s as well as present day. The Dream Keeper's Daughter by Emily Colin - This "historical beach read" kept me glued to the pages and also involved some time travel. It deals with missing family members, a Barbados plantation during the 1800s, and there's some romance as well. Keep your eye out for my review of this one, which I will be sharing soon. Daughters of Ireland by Santa Montefiore - You guys know I fell in love with this first book in this series, The Girl in the Castle, so I was so excited to continue on with this family saga that takes place in 1920s Ireland after the war. I'll be posting my thoughts on this book next week. 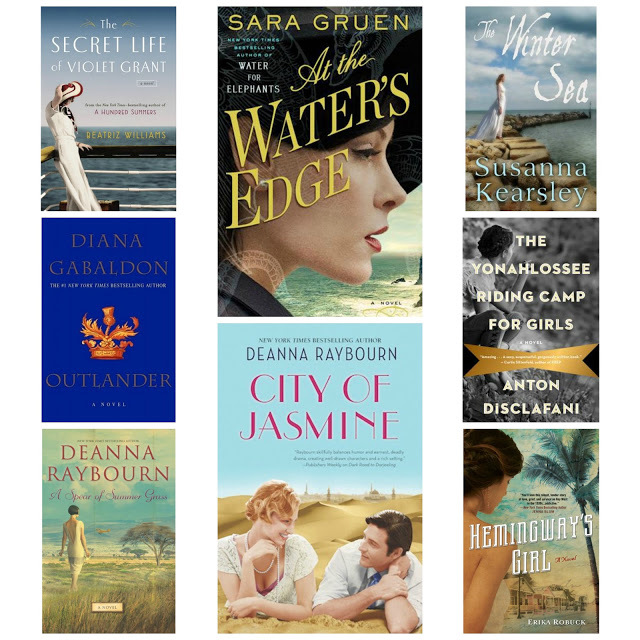 What are some of your favorite historical reads that you like to get lost in during the summertime? I love that you have so many Beatriz Williams books on this list! I'm actually reading Violet Grant right now! Her books are such fun to read in the summer. Ohhh! Violet Grant is one of my favorites. Have you read A Hundred Summers? That one is my favorite of hers. Thanks for visiting!